Clearly, Summer is finally here and everyone lucky enough to be able to go to the beach should definitely do so! However, we understand the need of being connected at all times, which means that going to the beach also requires you taking your technology with you. But how do you properly care for your smart phone or tablet while sticking your toes in the sand? This month’s Tech Tips will cover a bunch of tips and tricks all around traveling with your tech devices, so if you are a beach person – keep reading! Turn it on and HOPEFULLY it will work – but there is no guarantee. Unfortunately, sand and phones/tablets don’t go well together. 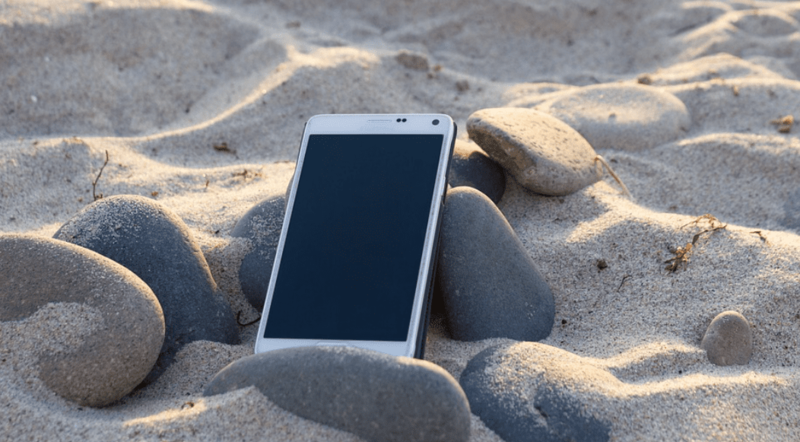 Once that smart device falls, it pretty much becomes part of the beach: sand everywhere! Aside from sand creeping into every opening of your device, it might also leave behind nasty scratches. So just as a precaution: wrap your phone in plastic cling wrap, which won’t protect it from any water damage, but you might be able to at least minimize the risk of getting sand everywhere! 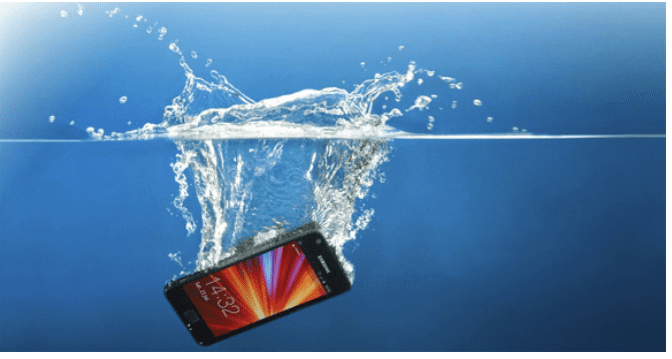 If it’s too late and you already have sand inside and on your phone, make sure once again to turn it off first before performing any kind of rescue mission. You can then try using compressed air (gently and carefully) to blow the sand out of those hard-to-reach openings. Sometimes, a vacuum cleaner with a tiny attachment might help as well.